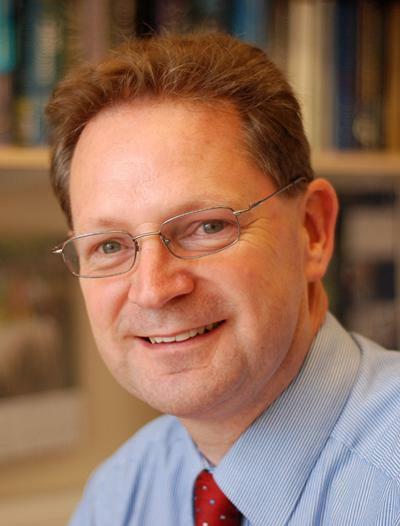 Professor Robert Wood is Professor of Surface Engineering and Tribology within Engineering Sciences of the Faculty of Engineering and the Environment at the University of Southampton and has 25 years research experience in the field of tribology and surface engineering. He has spent several years at BP Research researching into erosion and corrosion resistant coatings but returned to Southampton in 1993 to re-establish surface engineering/tribology research. His group was awarded a EPSRC S&I award in 2008 (£10M) to create the National Centre for Advanced Tribology at Southampton (nCATS) and was awarded a further £3M for research into Green Tribology under a platform Grant from EPSRC. The Centre has 9 academics, 12 postdoctoral research fellows and 20 research students. Professor Robert Wood has research interests in rain, cavitation and solid particle erosion, erosion-corrosion interactions and modelling; tribological and multifunctional coating design and performance, biomimetic coatings for anti-fouling; electrochemical control of interfacial friction; particle modelling in pipe bends by swirl dispersion of particles. He has been involved in working on erosion of helicopter blades, nuclear slurry handling systems at Sellafield, reverse thrust actuators on aero engines, polymer coatings for potable water systems as well as offshore choke valves. He has teaching experience in Surface Engineering, Tribological Engineering and Fluid Mechanics at Undergraduate and MSc level. Professor Robert Wood has research interests that span the application of lubrication, wear and friction science to current and next generation critical machine components such as bearings, transmissions, turbines, pumps and oil and gas drills. He heads a major research effort into Green Tribology where the management and reduction of wear and friction are obtained from solutions that are more environmentally friendly and relate to sustainable systems such as wind and tidal energy capture. Solutions being explored include surfaces inspired by nature, water based lubricants, sensing of wear for improved control of machines, and texturing surfaces for low drag/friction. Marine-based research includes a tidal turbine project looking at protecting blades from solid and cavitation erosion combined with corrosion, cavitation erosion-corrosion of ships propulsion systems and anti-fouling and drag reduction for marine vessels. Assessment of coating survival in next generation nuclear plant; impact and erosion resistant coatings for wind turbine blade protection and military applications, wind turbine transmission tribology; suspension spraying of thick thermally sprayed coatings. Modelling abrasion-corrosion of down-hole drilling equipment and drill string friction; simulating the friction encountered in oilfield operations. Engagement with the newly formed Southampton Centre for Arthroplasty Revision Surgery (SOCARS) hosted by the NHS Southampton University Foundation Trust. Nanowear and nanofretting of biomedical materials, and forensic analysis of failed hip replacements. Seconded to Rolls-Royce under a senior KTS scheme to identify what tribology means to Rolls-Royce and to suggest provision of solutions. Wear modelling of Diamond-Like Carbon (DLC) coatings. Scuffing in automotive engines has increased in both frequency and severity which has led industry to undertake development of a new heavy duty (HD) engine test that will assess the scuff resistance of lubricants. This is planned to be part of a scuffing test standard to be introduced in January 2016. This program of work aims to understand the fundamental causes and events leading to piston ring and liner scuffing by developing new and novel bench test capabilities that will contribute to the set of tests developed for the scuffing test standard. This project uses a novel method to structure a metal surface with dimples from the micro to nano scale, after which it can be chemically modified to make it hydrophobic. 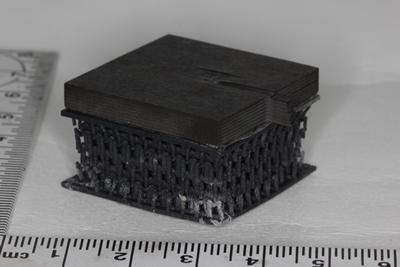 Materials with submicron- or nano-scaled grains produced by severe plastic deformation (SPD) offer new structural and functional properties for innovative products in a wide range of applications. The aims of this study are to understand the effect of SPD processing on wear behaviour of materials, to seek a way to use SPD processing to improve the mechanical properties of materials and their wear resistance. Basumatary, J., & Wood, R. (Accepted/In press). Different methods of measuring synergy between cavitation erosion and corrosion for nickel aluminium bronze in 3.5% NaCl solution. Tribology International. Wang, C., Escudeiro, A., Polcar, T., Cavaleiro, A., Wood, R. J. K., Gao, N., & Langdon, T. G. (2013). Indentation and scratch testing of DLC-Zr coatings on ultrafine-grained titanium processed by high-pressure torsion. Wear, 306, 304-310. Wang, C. T., Gao, N., Gee, M., Wood, R. J. K., & Langdon, T. G. (2013). Processing of an ultrafine-grained titanium by high-pressure torsion: an evaluation of the wear properties with and without a TiN coating. Journal of the Mechanical Behavior of Biomedical Materials, 17, 166-175. Wharton, J. A., & Wood, R. J. K. (2005). 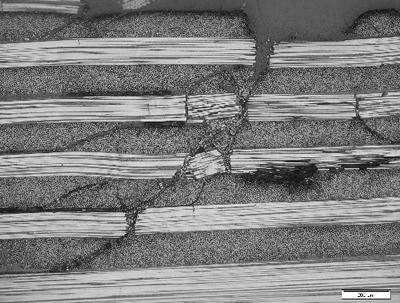 Flow corrosion behaviour of austenitic stainless steels UNS S30403 and UNS S31603. Corrosion, 61, 792-806. Wharton, J. A., & Wood, R. J. K. (2002). Electrochemical noise measurements to monitor flow corrosion of AISI 304L stainless steel. UK Corrosion, 1-15. Sun, D., Wharton, J. A., & Wood, R. J. K. (2008). Effect of protein adsorption on the wear-corrosion behaviour of cast CoCrMo alloy in simulated healthy and infected joint environments. In 16th International Colloquium Tribology Elsevier. Wood, R. J. K. (2006). Understanding surface wear in engineering materials. In B. G. Mellor (Ed. ), Surface Coatings for Protection Against Wear (pp. 1-57). Cambridge, UK: Woodhead Publishing Limited. Wood, R. J. K. (2004). Challenges of living with erosion-corrosion. In Advanced materials for fluid machinery second international symposium (pp. 113-132). Institution of Mechanical Engineers. Mahmoodi, B., Wood, R., & Cook, R. (2018). Protection and acid resistivity of bioactive-glasses, arginine and calcium silicate. Abstract from International Association of Dental Research, London, United Kingdom. Baig, M., Cook, R., Pratten, J., & Wood, R. (2018). The effect of micro-abrasion on enamel using abrasive slurries. Poster session presented at International Association of Dental Research, London, United Kingdom. Mahmoodi, B., Wood, R., & Cook, R. (2017). Protection effects of Bioglass®and Pro-Argin®layers formed on dentine. Poster session presented at British Society for Oral and Dental Research Annual Meeting, Plymouth, United Kingdom. Martínez Nogués, V., Wood, R., & Cook, R. (2016). Influence of the grain orientation on the scratch-corrosion behaviour of CoCrMo alloys at the nano-scale. Paper presented at 3rd International Conference on BioTribology (ICoBT 2016) , London, United Kingdom. Wood, R. J. K., Dan, S., Moshrefi-Torbati, M., Misra, S., Valappil, S. P., Boccaccini, A., & Roy, I. (2006). Nanoindentation testing of biodegradabale polymers. Paper presented at Cambridge Micro-Mechanical Testing Centre (CAMTEC) Workshop, United Kingdom. Wood, R. J. K., Jones, T. F., Fraige, F., & Langston, P. A. (2004). Particle distribution patterns in pipeflow for modelling wear. In Proceedings of the 16th international conference on hydrotransport (pp. 595-608). BHR Group. Bello, J. O., Wharton, J. A., & Wood, R. J. K. (2003). Evalutaion of the adhesive properties of downhole corrosion resistant polymeric coatings by cathodic disbondment. Paper presented at Corrosion NACE, . Wood, R. J. K., Jones, T. F., & Ganeshalingam, J. (2002). Erosion in swirl-inducing pipes. In 2002 Proceedings of the ASME Fluids Engineering Division Summer Meeting: Cd-Rom (pp. 31287). New York, USA: ASME Press. Wood, R. J. K., Jones, T. F., Ganeshalingam, G., & Wang, M. (2002). Erosion modelling of swirling and non-swirling slurries in pipes. 497-510. Paper presented at 15th International Symposium on Hydrotransport, . Wood, R. J. K., Wharton, J. A., & Lynn, G. T. (2002). The influence of chloride concentrations on the erosion-corrosion of AISI 304L stainless steel in alkaline slurries. In Proceedings of the 15th International Symposium on Hydrotransport incorporating the 11th International Symposium of Freight Pipelines (pp. 173-186). Cranfield: BHR. Wheeler, D. W., & Wood, R. J. K. (2001). Erosion damage in diamond coatings by high velocity sand impacts. 1-4. Paper presented at Proceedings of the 52nd Diamond Conference, . Grooves, S., Symonds, N., Wood, R., & Mellor, B. (2001). Impact testing of downhole tubing internal coatings. NACE 2001, . Bose, K., Wheeler, D. W., & Wood, R. J. K. (2001). Micro-abrasion of CVD diamond coatings. Paper presented at University of Southampton School of Engineering Sciences Postgraduate Conference, . Bose, K., & Wood, R. J. K. (2001). Simulation of erosive wear of CVD boron carbide coatings by static and repetitive nanoindentation. Paper presented at 2nd World Tribology Congress, . Wheeler, D. W., & Wood, R. J. K. (2000). 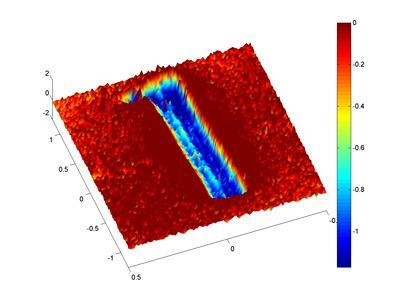 A scanning acoustic microscopy study of erosion damage features in CVD diamond coatings. Paper presented at 51st Diamond Conference, . Speyer, A. J., & Wood, R. J. K. (2000). Erosion of aluminium-based claddings on steel by sand in water. Paper presented at Sixth Postgraduate conference in Engineering Materials, Southampton, United Kingdom. Bose, K., & Wood, R. J. K. (2000). Micro-ball cratering of CVD coatings. Paper presented at 22nd IRG-OECD Tribology Meeting, . Symonds, N., Mellor, B. G., Wood, R. J. K., & Grooves, S. (2000). Wireline wear resistance of polymeric corrosion barrier coating for downhole applications. Paper presented at Corrosion 2000, .